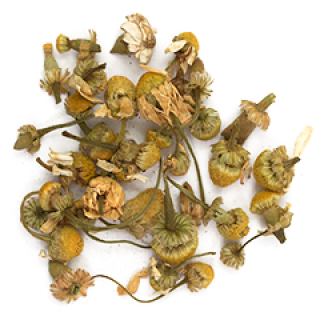 German chamomile is used for intestinal gas, travel sickness, stuffy nose, hay fever, nervous diarrhea, attention deficit-hyperactivity disorder (ADHD), fibromyalgia, restlessness, and trouble sleeping. It is also used for digestive system disorders, stomach ulcers, colic, and menstrual cramps. In manufacturing, German chamomile is used in cosmetics, soaps, and mouthwashes. Sage has a very long history of effective medicinal use and is an important domestic herbal remedy for disorders of the digestive system. The whole herb is antihydrotic, antiseptic, antispasmodic, astringent, carminative, cholagogue, galactofuge, stimulant, tonic and vasodilator. The essential oil is used in aromatherapy. Besides being an effective anti-inflammatory, boswellia can be an effective painkiller and may prevent the loss of cartilage. Some studies have found that it may even be useful in treating certain cancers, such as leukemia and breast cancer. Lavender is used extensively with herbs and aromatherapy. Infusions are believed to soothe insect bites, burns, and headaches. Bunches of lavender repel insects. In pillows, lavender seeds and flowers aid sleep and relaxation. An infusion of flowerheads added to a cup of boiling water is used to soothe and relax at bedtime. Lavender oil (or extract of Lavender) is used to treat acne when diluted 1:10 with water, rosewater, or witch hazel; it also treats skin burns and inflammatory conditions. A semi-drying oil obtained from the seed is used in soap making. An essential oil from the peel is used as a food flavouring and also in perfumery and medicines. A higher quality essential oil is obtained from the flowers. The peel contains 0.4% essential oil. An essential oil obtained from the leaves and young twigs is called 'petitgrain oil'. Yields are around 0.4%. Astringent, healing. Tonic and stimulant. A direct emmenagogue, a tonic in dyspepsia, an expectorant in the absence of feverish symptoms, a stimulant to the mucous tissues, a stomachic carminative, exciting appetite and the flow of gastric juice, and an astringent wash.